From heavy duty military truck parts to lightweight automotive and aerospace components, our state-of-the-art Mazak machining centers and robotic welding facilities deliver top-tier quality and repeatability. Our workforce is very stable and our operators are dedicated to quality and to finding ways to add value at every stage of manufacture. We have fabricated and assembled unique transportation systems, from light rail systems to sophisticated off-road and snow vehicles. The unique needs of defense contractors are well known to Royale. 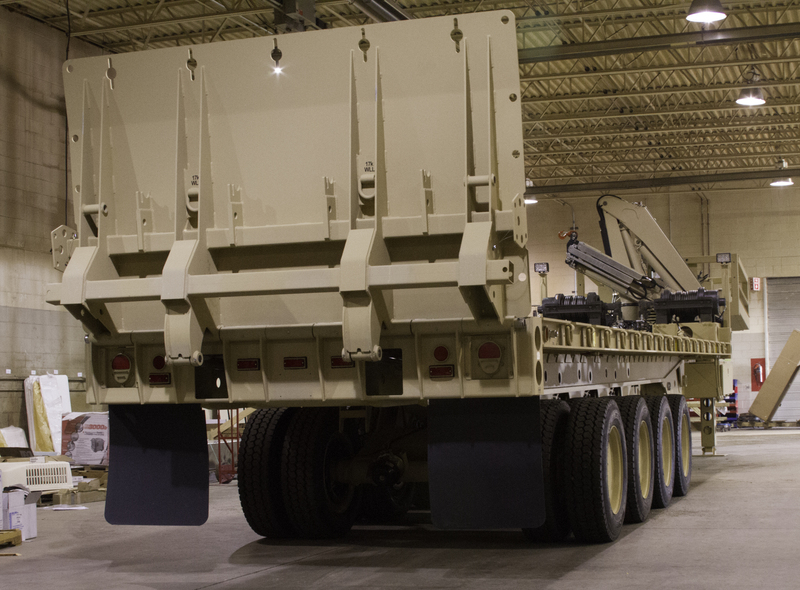 We have worked with large prime contractors to plan large, advanced fabrications for defense applications. Our team collaborates with other suppliers to ensure the product meets all specifications and will provide seamless integration with the final system. We machine complex hydraulic components and deliver precisely-fixtured structural fabrications for construction and heavy equipment industries. Our team has provided numerous innovations to reduce tolerance stack up, lower cost, and improve product reliability. From chemical and fluid processing vessels to factory structures and machine subassemblies, our team provides an integrated solution to equipment manufacturers. In addition to the primary task of machining or fabrication, we partner with local powder coating and paint suppliers to deliver parts ready for final assembly. For many years we have delivered fabricated and machined parts to these rugged and demanding industries. Our innovations include designing transportation fixtures for heavy fabrications that include integrated paint covers which keep bare surfaces clean without masking. The fixtures are directly transportable by truck and are run through the paint process with the parts. The result is lower total part cost and improved consistency. "From prototype development to production parts, Royale’s team of administrative and engineering professionals as well as machinists and fabricators have consistently delivered high quality products on time and at competitive prices." © Copyright 2019 Royale Inc. All Rights Reserved.